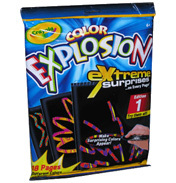 Through activity sets and craft kits, Crayola are encouraging kids to personalise their world. 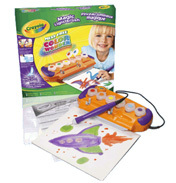 There are hours of fun to be had by drawing, colouring and painting but you can add a new dimension with Crayola Creations and activity kits. 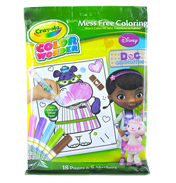 Do you love colouring but feel that you are not very good at drawing. 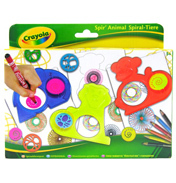 You can create colourful pictures and patterns in new ways with the Spinaroo or Spiral Animal. Or why not get the Doodle Penguin to do the drawing for you? 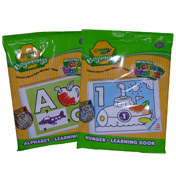 With 100 activities and drawings it will take a while to get through them all but you will never get tired of watching this penguin hard at work just for you. 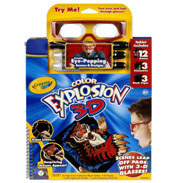 You can customise your room and make saving fun by painting your own piggy bank or even build and decorate a Cool Qube to show off your favourite photographs. What will you keep in the secret compartment? We promise not to tell! The Lumi Lock Secret Diary or the Diary in Disguise are two great ways to keep your secrets hidden away. Perhaps you like to tell your secrets to your friends. 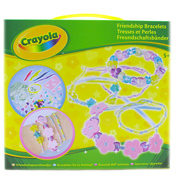 Why not design and create fun friendship bracelets with your friends or make them by yourself and give them as presents. Or if you have dreams of becoming a fashion designer then you can use the Fashion Portfolio to create a whole new look.